Mick Pealing, Mal Eastwick,Glyn Dowding, Roger McLachlan, featuring Nick Charles. Bar and bistro are both conveniently located close to seating area, with dinner specials and cocktails available. Kitchen Trading: 5.30pm to 9.00pm. 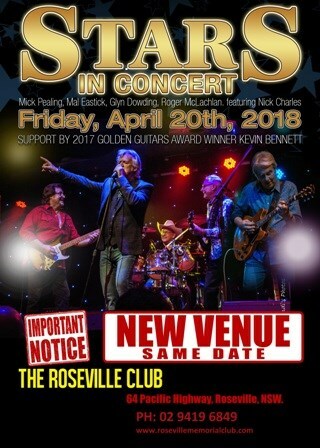 The Roseville Club is located just across the highway from Roseville Station, buses stop close by on the highway and customer parking is available in Larkin Lane at the rear of the Club. *$2.50 booking fee applies for online bookings.